Why are Ruffed Grouse numbers in decline? In spring, the loud wing-thumping of male Ruffed Grouse brings new life to northern forests across the continent. These handsome, wily birds reside in the forest year round. And while their numbers rise and fall cyclically, they average nearly seven million. Still, Audubon lists Ruffed Grouse among the Top 20 Common Birds in Decline due to habitat loss. These handsome, wily birds reside in the forest year round, and while their numbers rise and fall cyclically, they average nearly seven million. Yet the National Audubon Society lists Ruffed Grouse among the Top 20 Common Birds in Decline. It comes down to habitat. Ruffed Grouse thrive in aspen groves, [bring in wind in Aspen] and their native range corresponds very closely with that of aspen. Aspen groves are rich with other bird life too, from sapsuckers [Yellow-bellied Sapsucker drum] to warblers [song of Yellow-rumped Warbler]. But in many areas aspen has been overharvested, overgrazed or, through natural succession, supplanted by conifers. A variety of local efforts are under way to restore aspen groves, such as fencing, thinning and controlled burning of the conifers. Also, The Ruffed Grouse Society is working with state and federal wildlife agencies to acquire and manage land for the grouse. Aspen-rich habitat, in turn, benefits other species like this Warbling Vireo [Warbling Vireo song]. Bird sounds provided by The Macaulay Library of Natural Sounds at the Cornell Lab of Ornithology, Ithaca, New York. 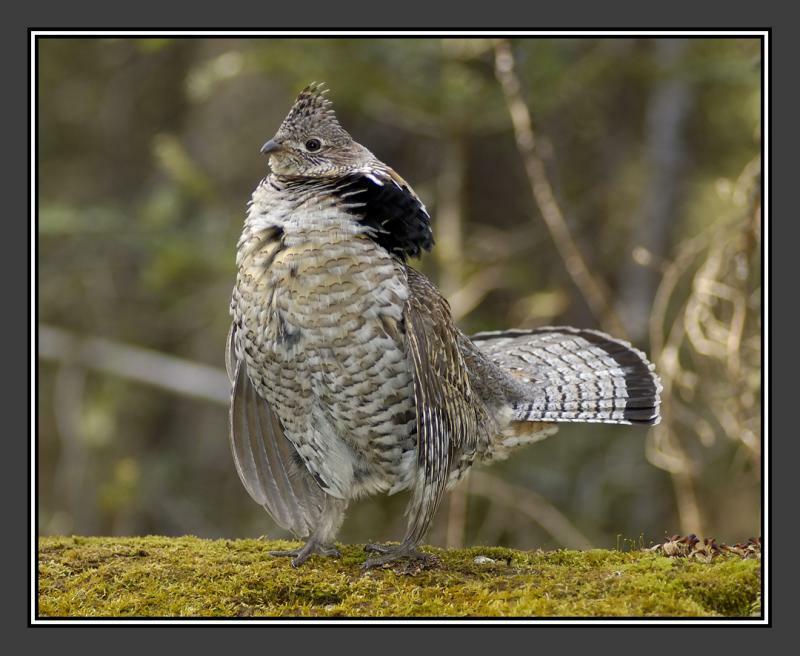 Wing-thumping of Ruffed Grouse  recorded by R.S. Little; drumming of Yellow-bellied Sapsucker  by M.J. Anderson; song of Yellow-rumped Warbler  song of Warbling Vireo  recorded by K. Colver. Wind in Aspen “QP02 0181 Wind deciduous forest gentle leafy detail” recorded by Gordon Hempton of QuietPlanet.com.